Hosted by Ken Napzok, co-creator of ForceCenter, The Napzok Files podcast feed contains shows about life, the universe, and everything. (Douglas Adams would agree.) Each episode Ken welcomes the important, cool, and fancy people in his life onto the airwaves to explore, explain, and exclaim the interesting and entertaining. Buy Ken's book Why We Love Star Wars on Amazon now! 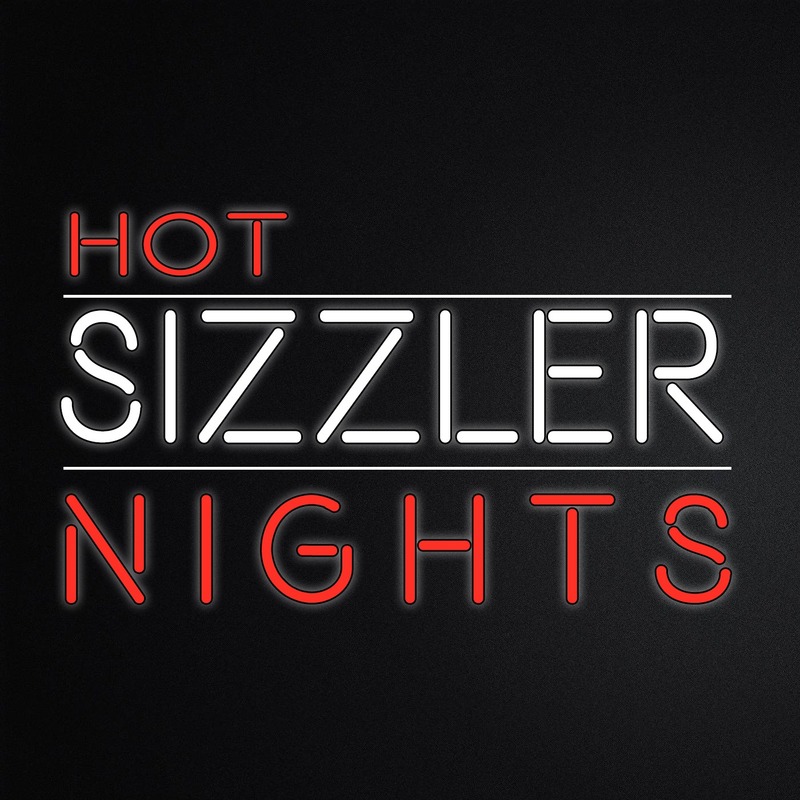 Welcome to Hot Sizzler Nights on The Napzok Files podcast feed. Ken. A Guest(s). 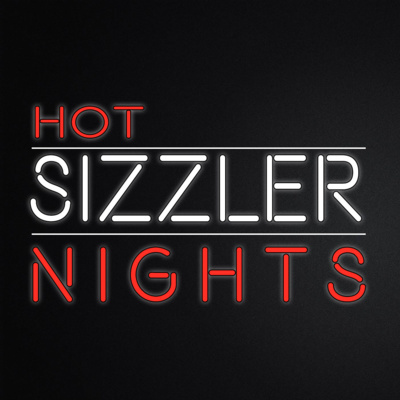 Two Unlimited Salad Bars at Sizzler. Then they talk about the experience because life is like an unlimited salad bar. 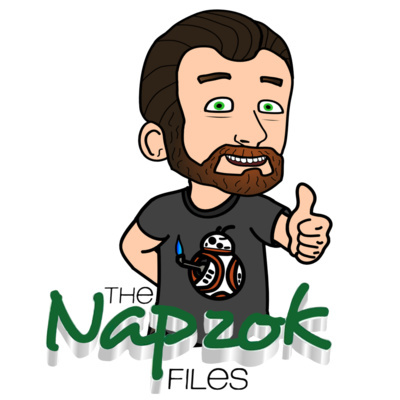 Subscribe to The Napzok Files podcast feed on Anchor, Apple Podcasts, Google Podcasts, TuneIn, Stitcher, and Spotify. Twitter: @KenNapzok Hashtag: #TheNapzokFiles Go to: https://kennapzok.com/ for more! Merchandise available: www.teepublic.com/user/kennapzok Support The Napzok Files on Patreon: www.patreon.com/KenNapzok Order his book Why We Love Star Wars: The Great Moments That Built A Galaxy Far, Far Away. Dutch Allen is back. In an episode recording live to a Patreon audience, Dutch Allen talks Hollywood, the Fyre Festival, and the hoopla around the Oscars. Plus listener questions. Presented by Ken Napzok, co-creator of ForceCenter, The Napzok Files podcast feed is a collection of shows about life, the universe, and everything. (Douglas Adams would agree.) Each episode Ken welcomes the important, cool, and fancy people in his life onto the airwaves to explore, explain, and exclaim the interesting and entertaining. 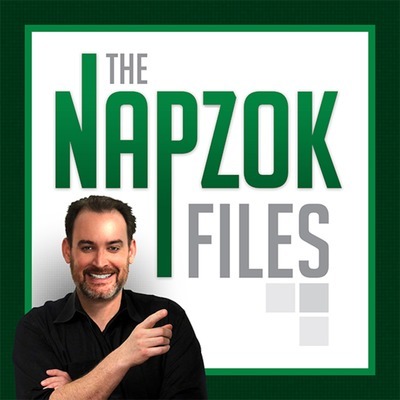 Twitter: Ken Napzok (@KenNapzok) #TheNapzokFiles Support The Napzok Files on Patreon: https://www.patreon.com/TheNapzokFiles Podcast is also available on Podomatic, Apple Podcasts, Google Play, Spotify, Stitcher TuneIn, and iHeartRadio. A still special Q & A! Special Q & A episode! Dutch Allen is in for Ken on this Holiday week to talk about Thanksgiving, Bill Maher, and Egg Nog. Presented by Ken Napzok, co-creator of ForceCenter, The Napzok Files podcast feed is a collection of shows about life, the universe, and everything. (Douglas Adams would agree.) Each episode Ken welcomes the important, cool, and fancy people in his life onto the airwaves to explore, explain, and exclaim the interesting and entertaining. Twitter: Ken Napzok (@KenNapzok) #TheNapzokFiles Support The Napzok Files on Patreon: https://www.patreon.com/TheNapzokFiles Podcast is also available on Podomatic, Apple Podcasts, Google Play, Spotify, Stitcher TuneIn, and iHeartRadio. Every week on Patreon, supporters of The Napzok Files are treated to a bonus show called Five Extra Minutes. After a main show, Ken's the microphones on for a fun, quick chat with his guest. Often it starts with a surprise question! Here now is taste of some of the recent episodes of Five Extra Minutes. Hosted by Ken Napzok, co-creator of ForceCenter, The Napzok Files podcast feed is a collection of shows about life, the universe, and everything. (Douglas Adams would agree.) Each episode Ken welcomes the important, cool, and fancy people in his life onto the airwaves to explore, explain, and exclaim the interesting and entertaining. Twitter: Ken Napzok (@KenNapzok) #TheNapzokFiles Support The Napzok Files on Patreon: https://www.patreon.com/TheNapzokFiles Visit napzokfiles.podomatic.net for more Podcast is also available on Podomatic, Apple Podcasts, Google Play, Stitcher TuneIn, Spotify, and iHeartRadio. Let's talk Amateurs! Lou Santini returns to the Napzok Files to talk about his new book Amateur Nation: The Decline of Common Sense, Manners, and Social Skills. All this and more on episode 106 of The Napzok Files. Hosted by Ken Napzok, co-creator of ForceCenter, The Napzok Files podcast feed is a collection of shows about life, the universe, and everything. (Douglas Adams would agree.) Each episode Ken welcomes the important, cool, and fancy people in his life onto the airwaves to explore, explain, and exclaim the interesting and entertaining. Twitter: Ken Napzok (@KenNapzok) #TheNapzokFiles Support The Napzok Files on Patreon: https://www.patreon.com/TheNapzokFiles Visit napzokfiles.podomatic.net for more Podcast is also available on Podomatic, Apple Podcasts, Google Play, Stitcher TuneIn, Spotify, and iHeartRadio. Dutch Allen went to San Diego Comic-Con for the first time since 1977 and he's here to tell you about it. We think. Presented by Ken Napzok, co-creator of ForceCenter, The Napzok Files podcast feed is a collection of shows about life, the universe, and everything. (Douglas Adams would agree.) Each episode Ken welcomes the important, cool, and fancy people in his life onto the airwaves to explore, explain, and exclaim the interesting and entertaining. Twitter: Ken Napzok (@KenNapzok) #TheNapzokFiles Support The Napzok Files on Patreon: https://www.patreon.com/TheNapzokFiles Podcast is also available on Podomatic, Apple Podcasts, Google Play, Spotify, Stitcher TuneIn, and iHeartRadio. Mark Reilly returns! Yodi is here to talk about his engagement, writing, and his memories of Jon Schnepp. All this and more on episode 105 of The Napzok Files. Hosted by Ken Napzok, co-creator of ForceCenter, The Napzok Files podcast feed is a collection of shows about life, the universe, and everything. (Douglas Adams would agree.) Each episode Ken welcomes the important, cool, and fancy people in his life onto the airwaves to explore, explain, and exclaim the interesting and entertaining. Twitter: Ken Napzok (@KenNapzok) #TheNapzokFiles Support The Napzok Files on Patreon: https://www.patreon.com/TheNapzokFiles Visit napzokfiles.podomatic.net for more Podcast is also available on Podomatic, Apple Podcasts, Google Play, Stitcher TuneIn, Spotify, and iHeartRadio. 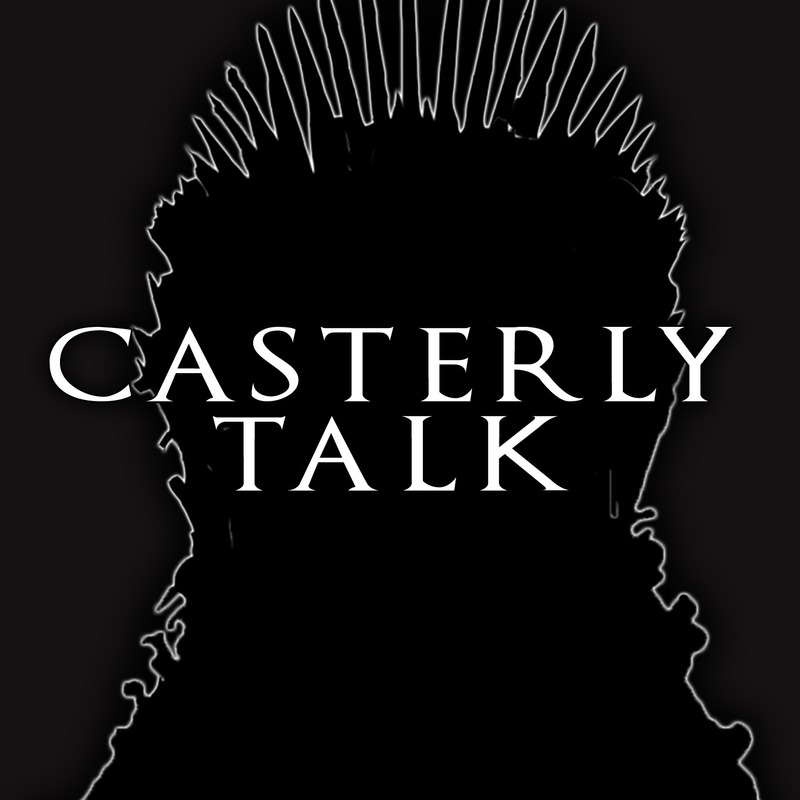 Casterly Talk is here! Hosted by Ken Napzok with Lon Harris, this is a deep dive look into Game of Thrones and A Song of Ice and Fire. The books, the show, the maps, the merchandise, and the true meaning behind it all, the Casterly Talk team brings their unique take to the world of Ice and Fire. In this pilot episode, Ken and Lon try to unpack what hooked people onto this show and wonder what the Age of Heroes spin-off television series might feel like. Plus, Thomas Rissling's Ruminations From The Realm and more! Hosted by Ken Napzok, co-creator of ForceCenter, The Napzok Files podcast feed is a collection of shows about life, the universe, and everything. (Douglas Adams would agree.) Each episode Ken welcomes the important, cool, and fancy people in his life onto the airwaves to explore, explain, and exclaim the interesting and entertaining. Twitter: Ken Napzok (@KenNapzok) Support The Napzok Files on Patreon: https://www.patreon.com/TheNapzokFiles Visit napzokfiles.podomatic.net for more Podcast is also available on Podomatic, Apple Podcasts, Google Play, Stitcher TuneIn, Spotify, and iHeartRadio. Writer and Dad Michael Beatrice returns to The Napzok Files to discuss the big changes that came into his life since the last episode, trying to watch Star Wars movies while raising kids, and he gets honest about a series life changing events. All this and more on episode 104 of The Napzok Files. Hosted by Ken Napzok, co-creator of ForceCenter, The Napzok Files podcast feed is a collection of shows about life, the universe, and everything. (Douglas Adams would agree.) Each episode Ken welcomes the important, cool, and fancy people in his life onto the airwaves to explore, explain, and exclaim the interesting and entertaining. Twitter: Ken Napzok (@KenNapzok) #TheNapzokFiles Support The Napzok Files on Patreon: https://www.patreon.com/TheNapzokFiles Visit napzokfiles.podomatic.net for more Podcast is also available on Podomatic, Apple Podcasts, Google Play, Stitcher TuneIn, Spotify, and iHeartRadio. Host and actor Coy Jandreau joins Ken to talk about his life from the mountains of Virginia to the dreams of the West Coast, JJ Abrams serving him ice cream, and trying to carve out a positive place in a negative age. All this and more on episode 103 of The Napzok Files. Hosted by Ken Napzok, co-creator of ForceCenter, The Napzok Files podcast feed is a collection of shows about life, the universe, and everything. (Douglas Adams would agree.) Each episode Ken welcomes the important, cool, and fancy people in his life onto the airwaves to explore, explain, and exclaim the interesting and entertaining. Twitter: Ken Napzok (@KenNapzok) #TheNapzokFiles Support The Napzok Files on Patreon: https://www.patreon.com/TheNapzokFiles Visit napzokfiles.podomatic.net for more Podcast is also available on Podomatic, Apple Podcasts, Google Play, Stitcher TuneIn, Spotify, and iHeartRadio. From Tennessee to Hollywood! Parker Roberts joins Ken to talk about her exciting journey to Los Angeles for the goals and career she wanted, carrying the weight of SJ Plus on her back (and laptop), and, of course, loving Taylor Swift. All this and more on episode 102 of The Napzok Files. Hosted by Ken Napzok, co-creator of ForceCenter, The Napzok Files podcast feed is a collection of shows about life, the universe, and everything. (Douglas Adams would agree.) 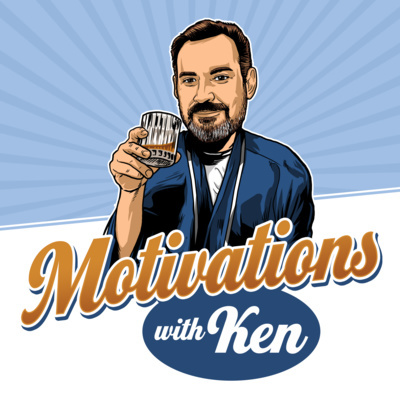 Each episode Ken welcomes the important, cool, and fancy people in his life onto the airwaves to explore, explain, and exclaim the interesting and entertaining. Twitter: Ken Napzok (@KenNapzok) Parker Roberts (@ParkerRoberts) #TheNapzokFiles Support The Napzok Files on Patreon: https://www.patreon.com/TheNapzokFiles Visit napzokfiles.podomatic.net for more Podcast is also available on Podomatic, Apple Podcasts, Google Play, Stitcher TuneIn, Spotify, and iHeartRadio. Dutch Allen saw the Avengers. Now here is his review. Or we think it is. Presented by Ken Napzok, co-creator of ForceCenter, The Napzok Files podcast feed is a collection of shows about life, the universe, and everything. (Douglas Adams would agree.) Each episode Ken welcomes the important, cool, and fancy people in his life onto the airwaves to explore, explain, and exclaim the interesting and entertaining. Twitter: Ken Napzok (@KenNapzok) #TheNapzokFiles Support The Napzok Files on Patreon: https://www.patreon.com/TheNapzokFiles Podcast is also available on Podomatic, Apple Podcasts, Google Play, Spotify, Stitcher TuneIn, and iHeartRadio. Musician Van William joins Ken on this episode of The Napzok Files to talk about growing up near Ken, spending summers fishing in Alaska, and making his way in the wilds of Rock n Roll. 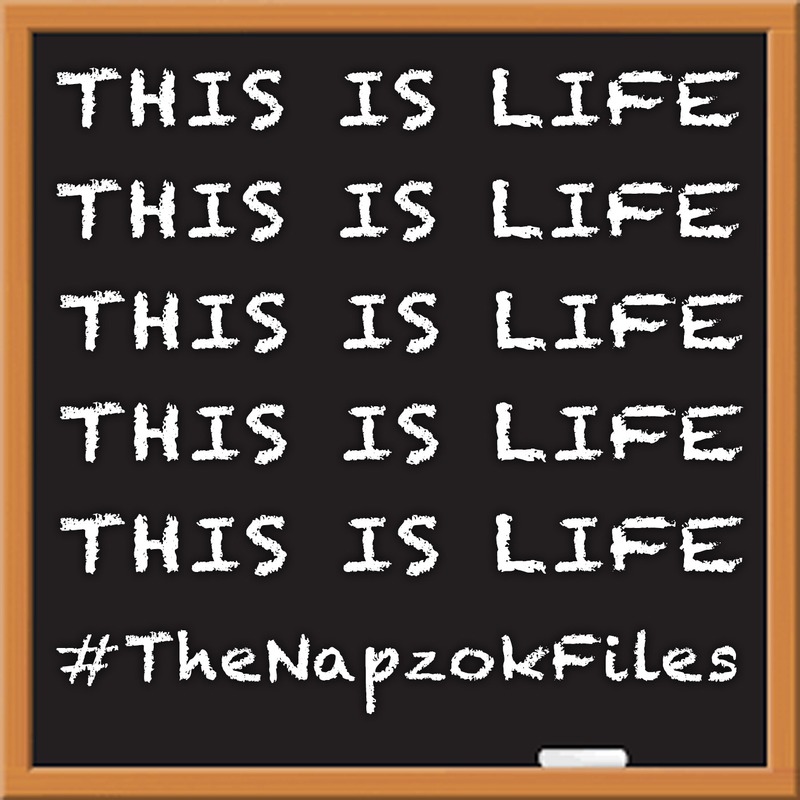 It's time for Three Chords and the Truth on episode 101 of The Napzok Files. Hosted by Ken Napzok, co-creator of ForceCenter, The Napzok Files podcast feed is a collection of shows about life, the universe, and everything. (Douglas Adams would agree.) Each episode Ken welcomes the important, cool, and fancy people in his life onto the airwaves to explore, explain, and exclaim the interesting and entertaining. Twitter: Ken Napzok (@KenNapzok) Van William (@VanWilliamMusic) #TheNapzokFiles Support The Napzok Files on Patreon: https://www.patreon.com/TheNapzokFiles Visit napzokfiles.podomatic.net for more Podcast is also available on Podomatic, Apple Podcasts, Google Play, Stitcher TuneIn, Spotify, and iHeartRadio. The HBO documentary Andre The Giant is out and with that focus returns on the 8th Wonder of the World. In celebration, here is a rebroadcast of a mini-episode from my old wrestling podcast feed the Wrestling Viewpoint Network in which pro wrestling historian Dan Farren takes a look at Andre the Giant. Hosted by Ken Napzok, co-creator of ForceCenter, The Napzok Files podcast feed is a collection of shows about life, the universe, and everything. (Douglas Adams would agree.) Each episode Ken welcomes the important, cool, and fancy people in his life onto the airwaves to explore, explain, and exclaim the interesting and entertaining. Twitter: Ken Napzok (@KenNapzok) #TheNapzokFiles Support The Napzok Files on Patreon: https://www.patreon.com/TheNapzokFiles Podcast is also available on Podomatic, Apple Podcasts, Google Play, Stitcher, TuneIn, Spotify, and iHeartRadio. Let's talk the Showcase of the Immortals! WrestleMania 34 is in the books and Ken Napzok is here to share his thoughts. Hosted by Ken Napzok, co-creator of ForceCenter, The Napzok Files podcast feed is a collection of shows about life, the universe, and everything. (Douglas Adams would agree.) Each episode Ken welcomes the important, cool, and fancy people in his life onto the airwaves to explore, explain, and exclaim the interesting and entertaining. Twitter: Ken Napzok (@KenNapzok) #TheNapzokFiles Support The Napzok Files on Patreon: https://www.patreon.com/TheNapzokFiles Podcast is also available on Podomatic, Apple Podcasts, Google Play, Stitcher, TuneIn, Spotify, and iHeartRadio. 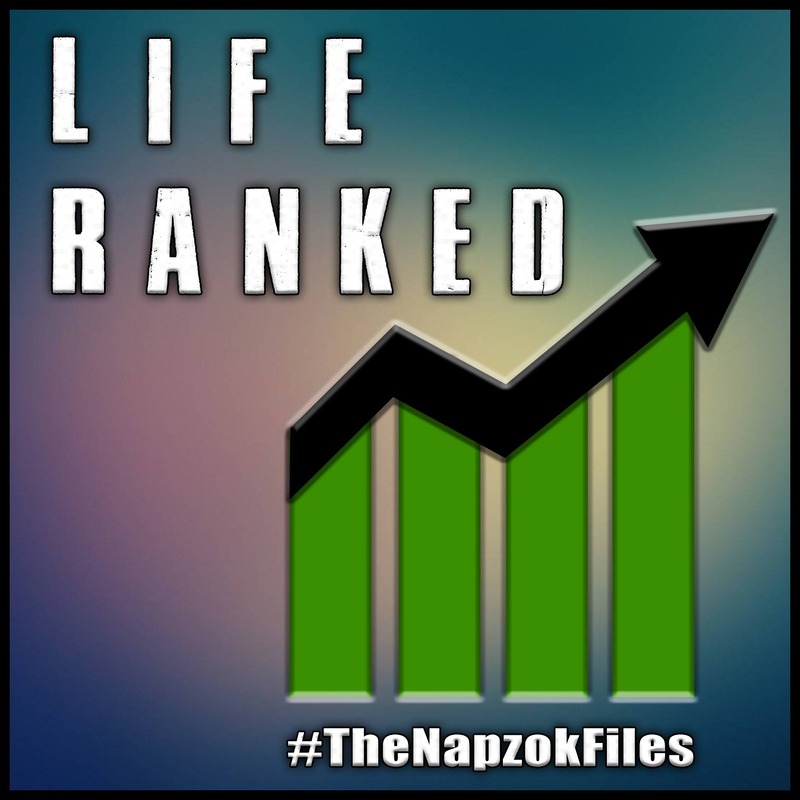 Welcome to The Napzok Files podcast feed. 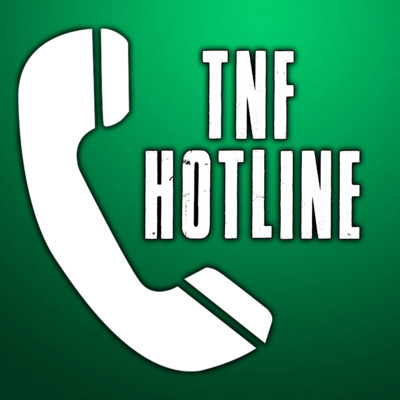 TNF is a collection of shows about life, the universe, and everything. (Douglas Adams would agree.) Each episode Ken welcomes the important, cool, and fancy people in his life onto the airwaves to explore, explain, and exclaim the interesting and entertaining. Welcome to This Is Life hosted by Ken Napzok and Owen Moogan. This is a conversation. This is an exploration of a city and its history. This is a friendship. This is nothing we've planned, but everything we want. This... is life. Twitter: Ken Napzok (@KenNapzok) Owen Moogan (@OwenMoogan) #TheNapzokFiles Support The Napzok Files on Patreon: https://www.patreon.com/TheNapzokFiles Podcast is also available on Podomatic, Apple Podcasts, Google Play, Stitcher TuneIn, and iHeartRadio. Ken Napzok, Mark Ellis, and Josh Macuga are here to watch the cult classic comedy Office Space with you in this Office Space commentary track made possible by The Napzok Files supporters on Patreon! Hosted by Ken Napzok, co-creator of ForceCenter, The Napzok Files podcast feed is a collection of shows about life, the universe, and everything. (Douglas Adams would agree.) Each episode Ken welcomes the important, cool, and fancy people in his life onto the airwaves to explore, explain, and exclaim the interesting and entertaining. Twitter: Ken Napzok (@KenNapzok) #TheNapzokFiles Support The Napzok Files on Patreon: https://www.patreon.com/TheNapzokFiles Podcast is also available on Podomatic, Apple Podcasts, Google Play, Stitcher TuneIn, and iHeartRadio. Meet Dutch Allen, host on Inside Tinsel Town. 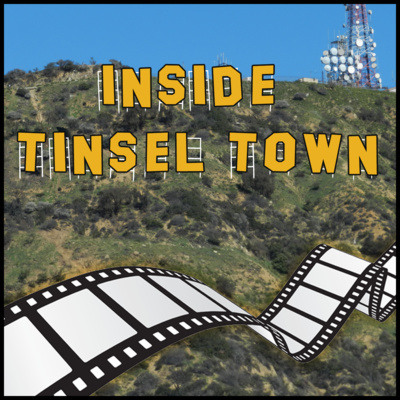 (Though he still thinks it's called Tinsel Town News.) Dutch is an old school, former Hollywood exec with some strong opinions on current movie news and chock full of off the cuff stories about Hollywood's Golden Age. In this first episode he dives into the Vulture story that used "unnamed sources" to talk about the drama on the set of Solo: A Star Wars story. Presented by Ken Napzok, co-creator of ForceCenter, The Napzok Files podcast feed is a collection of shows about life, the universe, and everything. (Douglas Adams would agree.) Each episode Ken welcomes the important, cool, and fancy people in his life onto the airwaves to explore, explain, and exclaim the interesting and entertaining. 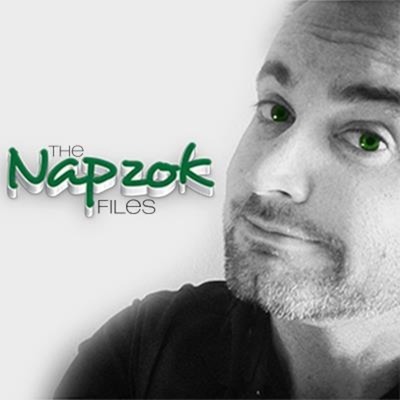 Twitter: Ken Napzok (@KenNapzok) #TheNapzokFiles Support The Napzok Files on Patreon: https://www.patreon.com/TheNapzokFiles Podcast is also available on Podomatic, Apple Podcasts, Google Play, Stitcher TuneIn, and iHeartRadio. Hosted by Ken Napzok, a member of the popular Schmoes Know Show, co-creator of ForceCenter, host of Daily Thrones on Anchor, The Napzok Files podcast feed is a collection of shows about life, the universe, and everything. (Douglas Adams would agree.) Each episode Ken welcomes the important, cool, and fancy people in his life onto the airwaves to explore, explain, and exclaim the interesting and entertaining. On this episode, Ken is joined by host/ producer/ vfx master Adam Hlavac. Listen to his story of growing up a San Diego kid with dreams of making movies. Twitter: Ken Napzok (@KenNapzok) Adam Hlavac (@AdamHlavac) #TheNapzokFiles Support The Napzok Files on Patreon: https://www.patreon.com/TheNapzokFiles Podcast is also available on Podomatic, Apple Podcasts, Google Play, Stitcher TuneIn, and iHeartRadio. The JTE Guide to Life - TNF EP 83 - Josh Tapia returns! TNF - EP 69 - Ken turns 40. 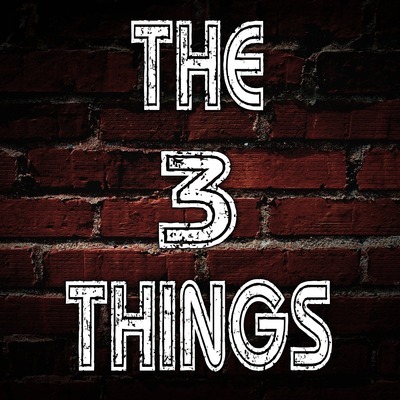 The 3 Things - EP 11 - Oh this is 40? 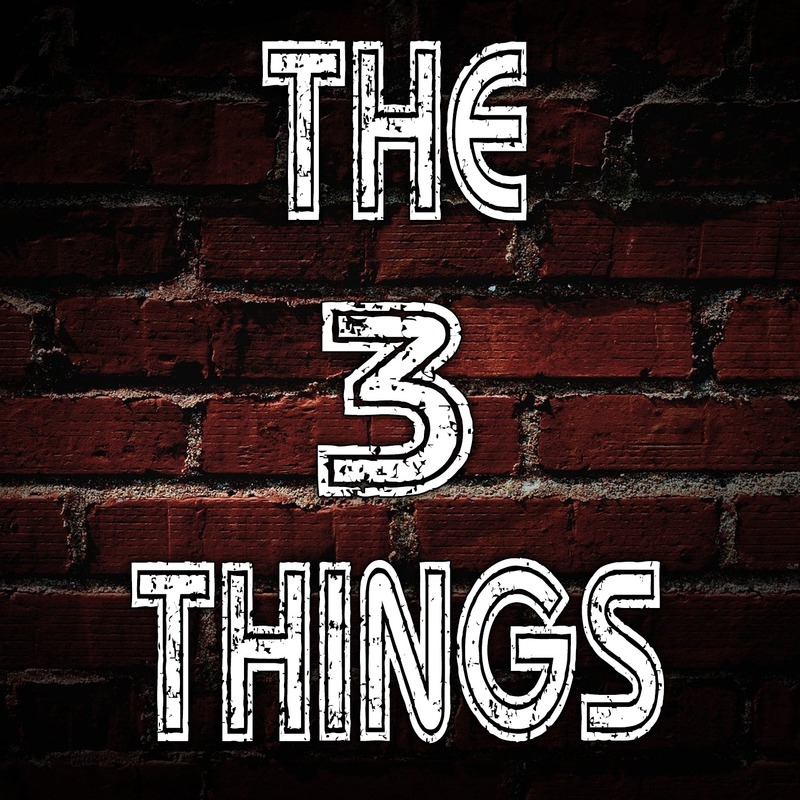 The 3 Things - Ep 10 - Can you hold hands wrong? The 3 Things - EP 7 - Sports! The 3 Things - EP 6 - Disneyland! SSW - EP 25 - Of comics, toys, and trailers..